After many years in political leadership roles, covering economics and labour issues, Wolfgang has a modern perspective on labour markets and offers practical observations for business and government leaders globally. Wolfgang is a renowned economist with an extensive background in German politics and government spanning nearly four decades. 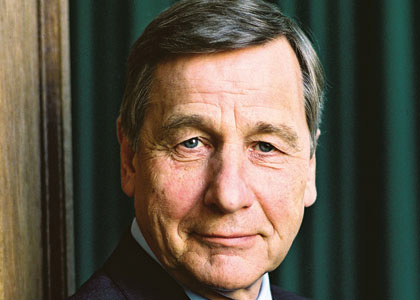 Prime Minister of North Rhine-Westphalia from 1998-2002, he went on to be Minister for Economy and Labour under Chancellor Gerhard Schröder, from 2002-5. In the Schröder government, he faced the challenge of implementing the proposals of the Hartz Commission to initiate major employment reforms. Although this lost him a popularity within the Social Democratic Party, he received praise from many economists for his swift action. Before entering politics, Wolfgang qualified as a lawyer and then spent nearly 20 years working as a political journalist and editor covering an era of major political and economic change in Germany. He is Chairman of the Adecco Institute on the future of work and serves on advisory and supervisory boards for a number of national and international companies. He has received several awards for his political activities, including the European trade prize in 2001. As a pragmatic realist, Wolfgang is one of the most intriguing figures in the Cabinet, and is referred to several times as the only conceivable successor to Gerhard Schröder. His direct and occasionally brash nature makes him a very popular party leader to the media. After 38 years of membership, Wolfgang left the SPD in 2008.